The likely date of this image is August 15, 1944 according to notes written in the Warbook. According to the US Coast Guard ship history, the likely location for this is Baie de Cavalaire. This image was taken by Dale Rooks, as seen by his signature in the lower right. 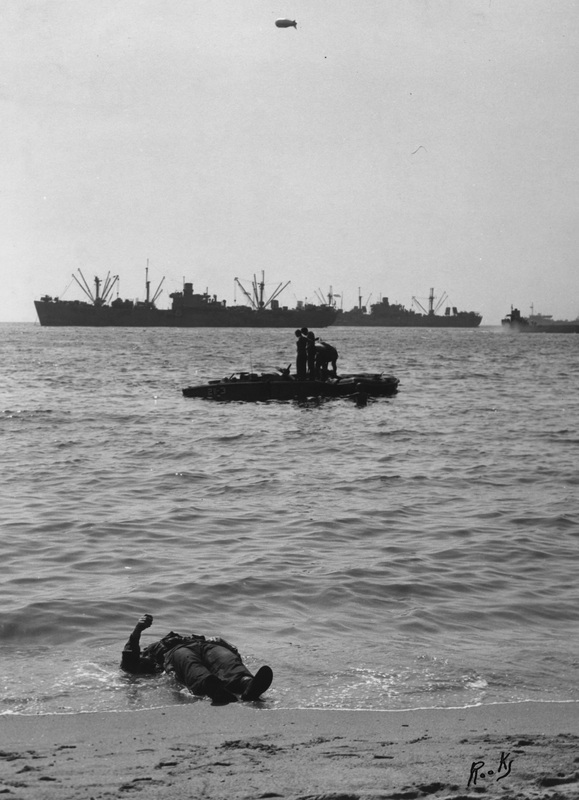 This entry was posted in Southern France and tagged 1944, Beach, casualty. Bookmark the permalink.